BOZEMAN — A 7-1 win by the Bulldog girls was the highlight of a rainy day Friday as the Butte High tennis teams played a pair of matches. Bozeman swept Butte High, with the boys and girls both winning 7-1. 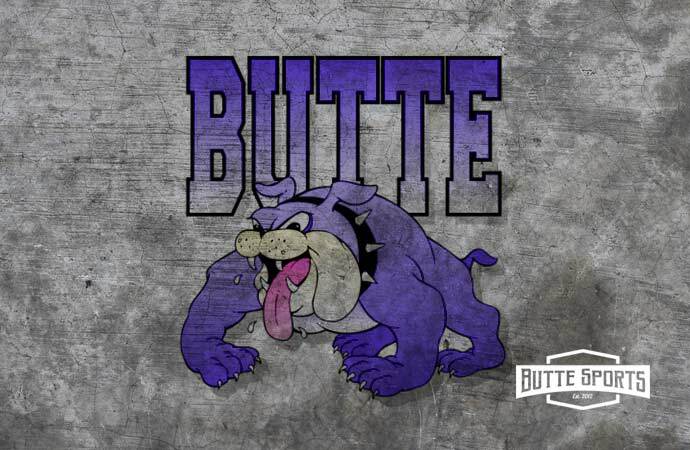 Butte High’s boys’ had their battle with Belgrade shortened by rain. Butte High won two of the three matches that were completed. Emily Kelly, Payton Pendergast and Sevanna Challeen picked up pro-set wins over their Belgrade opponents. Kelly went 2-0 on the day. She knocked off Bozeman’s Violet Newhouse in a 7-5, 3-6, 10-8 thriller. Butte High’s girls went 4-0 in doubles against the Panthers. Sierra Meza and Sydney Doyle teamed for a No. 1 doubles win over Belgrade. Devin Amtmann and Aspen Lovshin won 8-0 at No. 2. Abby Kelly and Kennedy Lean won at No. 3, and Carley Trefts and Shandelle Whalen grabbed a win at No. 4. Dillon Ferry and Zach Johnson won at No. 2 doubles for Butte High’s lone win against the Bozeman boys. The duo also won a match against Belgrade. Aidan Francisco and Russell Parks grabbed a No. 1 doubles win against Belgrade before rain spoiled the rest of the day. Next up for the Bulldogs is a tournament in Helena next Saturday.